Oof, it’s been a little while since I did an update, I have to admit! It’s not been because I’ve had a lack of things to think about, rather the opposite in fact. If you take a look at the Project Perfume page itself you’ll see that I’ve sniffed, or obtained samples of around about 50% of the list now, which is due in large part to three websites: Luckyscent, one is Scent and Sensibility and last, but by no means least, Escentual.com. Luckyscent (based in the US) and Scent and Sensibility (based in the UK) both specialise in niche, or hard to find perfumes, and I’ve been purchasing samples from both of them for a while now, I ordered a bunch of Andy Tauer perfumes from Ronny at Scent & Sensibility at the end of last year, and they turned up very quickly and beautifully packaged, and there was a little treat of a sample of Hilde Soliani’s Vecchi Rossetti perfume included too, which is about as perfect a scent for a beauty blogger as can possibly be, as it’s inspired by the scent of theatres and theatrical makeup. Violets, roses and beeswax combine to make this smell of the makeup your grandmother used to wear, ladylike and powdery, and just a tad old fashioned, it’s a gloriously glamorous scent which evokes the forties and fifties and just needs a beautiful powder compact to make the image complete. It’s not something for everyday wear – it’s definitely a fragrance that requires a bit of dressing up to accompany it, but for those days when I prefer my pearls to my edgy silver jewellery, it’s wonderfully evocative. I’ll talk more about Luckyscent and Scent & Sensibility next week (look out for a special post next week where I’ve teamed up with S&S to bring you something I’m very excited about indeed), but I wanted to talk about some scents I’ve been sent by Escentual.com this week. On first spray this is metallic, and flowery. And, as is the way of these things, I had an initial impression of tinned peas. The perfume doesn’t, in fact, smell anything like tinned peas, but everytime I wear this, they’re what I think about, at least for the first few minutes. There’s a tinny, metallic accord on first spray, which will tickle the back of your nose – and in my case, get the old brain cells working overtime – but, once this ticklish phase is over, there’s a beautiful (and I do mean beautiful) essence of roses and glorious full-bodied florals, which leaves me sniffing my wrists in ecstasy. It’s perfume-y, but not at all old-fashioned, which is rather a wonderful trick to pull off, particularly for a scent that was first released in 1966. It’s fresh and floral, and rather lovely, I’ve worn my sample of this one a lot since it arrived, to the detriment of a few other samples that appeared in the same batch. Carrying on with the vegetable theme, I next tried Fahrenheit 32 by Dior. Described as an unpretentious “minty vanilla” by Luca Turin, this is exceptionally difficult to find in stores, I tried everywhere before it turned up. Yes, it’s very definitely a minty vanilla, it’s both herbal and sweet, cool and comforting. For some reason, I do find a lot of vanillas rather too reminiscent of custard, and I’m uncomfortable in them for that reason, but this is very green, and I’m occasionally reminded of watercress (this isn’t a criticism, I love watercress, and would eat it every day if I could), with a hint of orange blossom, and the vanilla just takes the edge off the sharp, green herbs, and rounds off the orange blossom a little. If I want to sharpen it up, I add a little “fizz” with a drop or two of Commes des Garcons Rhubarb (from their “Sherbet” series), and the minty rhubarb’n’custard that results is perfect for carefree weekend days, and wearing with jeans and sitting down the pub in. Somehow though, I can’t convince MrLippie to wear this, the big wuss. Although, that might be because I’ve refused to hand it over to him since it arrived. Lippie Rating: Weird – but good. More on Project Perfume coming soon …. This post originated at: http://getlippie.com/ All rights reserved. Next Post Time for a heated debate! Calandre is such an amazing fragrance! You are absolutely correct about the metallic notes. The word "calandre" (french) refers to the metal grill on the front of a car, so there is definitely supposed to be a metallic note. I am surprised that Luca Turin doesn't mention this. I know everyone raves about that book, but I find it too subjective. 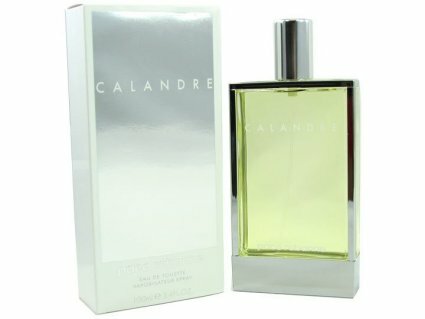 I do not find Calandre to be anything like Rive Gauche, except for the powdery 1970's vibe. When and why did fragrances turn so sweet and cloying? ?